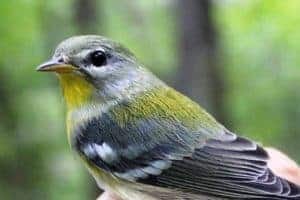 Since its inception in 2003 the Pelee Island Bird Observatory has received generous financial assistance from many private and public charitable foundations and a host of individual supporters. While the bird observatory is now developing strategies for sustainable long-term funding and initiating a number of revenue generating projects, our on-going field research and developing educational programs will require PIBO to seek similar funding support in the future. PIBO’s small organisational structure and our low overhead expenses allow for almost eighty percent of the funds raised by the observatory to go directly to cover the operational costs of the field research, which includes our educational programs. In this respect, PIBO supporters can be confident that their dollars are being well spent. PIBO is a non-profit organization supported by grants, donations, and partnerships. Donors will receive a tax receipt for their contributions. To support us or to become a member, please email : info@pibo.ca for more information or visit our Canada Helps page here. Under “Donate to this charity now”, you will see a drop down menu entitled ” apply your donation to a specific fund set up by this charity”. Membership is one of the choices. 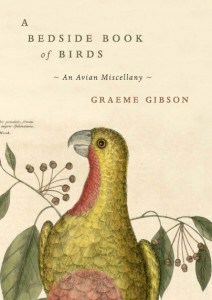 Revel in bird lore and art in Graeme Gibson’s A Bedside Book of Birds. Sales of this book help to fund PIBO.